This is according to a statement by the Special Adviser to the President on Media and Publicity, Mr Femi Adesina. “The President had planned to return to Abuja this (Sunday) evening, but was advised to complete the test cycle before returning. “Mr. President expresses his sincere gratitude to Nigerians for their concern, prayers and kind wishes,” Adesina stated. President Muhammadu Buhari embarked on a 10-day vacation on Monday January 23 and was billed to return to work on Monday February 6, 2017. Vice President Yemi Osinbajo has since been performing his duties as Acting President. 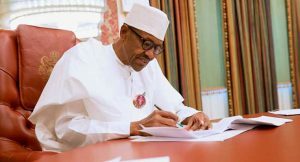 The President sent a letter to the National Assembly in compliance with Section 145 subsection (1) of the 1999 Constitution as amended, which mandates the President to transmit a written declaration to the Senate President and Speaker of the House of Representatives. The short vacation is part of his 2017 annual leave.